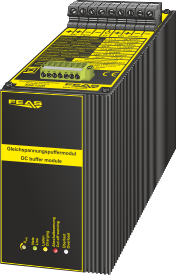 Please use the SSE-buffer-modules in order to buffer load currents during line voltage faults, peak loads or switching operations. 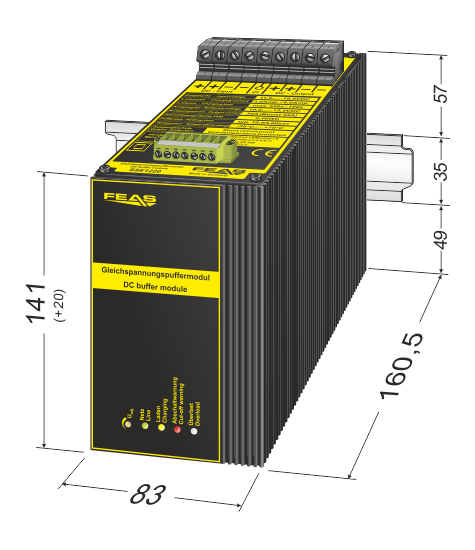 Therefore the buffer module can be connected directly in parallel to the regulated DC circuit or can be used for the selective protection of critical consumers. Through this, interferences at controls, caused by short blackouts, can be avoided and the failure probability of the system can be reduced effective. Charging current (normal / fast): 3.0 Amp. / 6.0 Amp.